Visit Amsterdam by starting with an Amsterdam canal cruise from in front of the main Amsterdam Centraal train station. Two companies, Lovers and Holland International, offer tours at the same location and for the same price. The standard Canal Cruise circuit wanders the canals through the Red Light District, past Anne Frank House and the 7 bridges view. The canal tour also heads out of the canals into the harbor. Another option is to take a Canal Boat Hop-On Hop-Off. In the evening, take a canal dinner cruise. 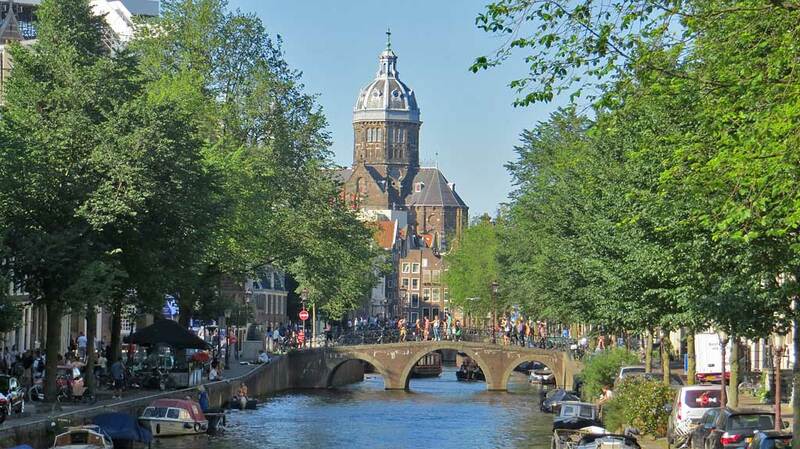 Enjoy dinner or wine and cheese as you travel through the canals of Old Town Amsterdam. 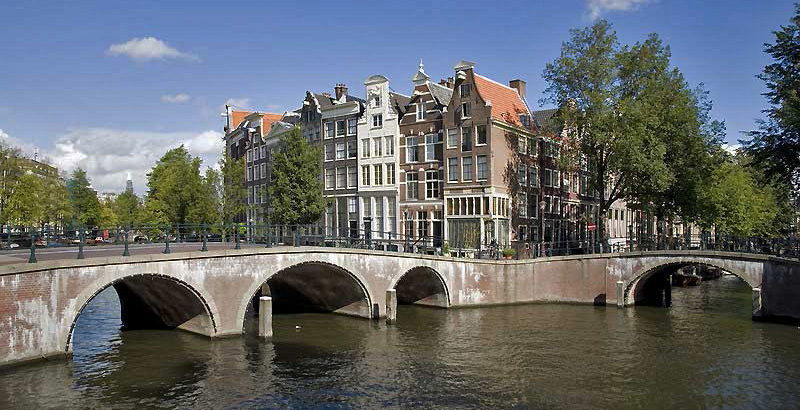 Expand your Old Town Walking Tour to the west to see Anne Frank House, the West Church (Westerkerk) and more canals. 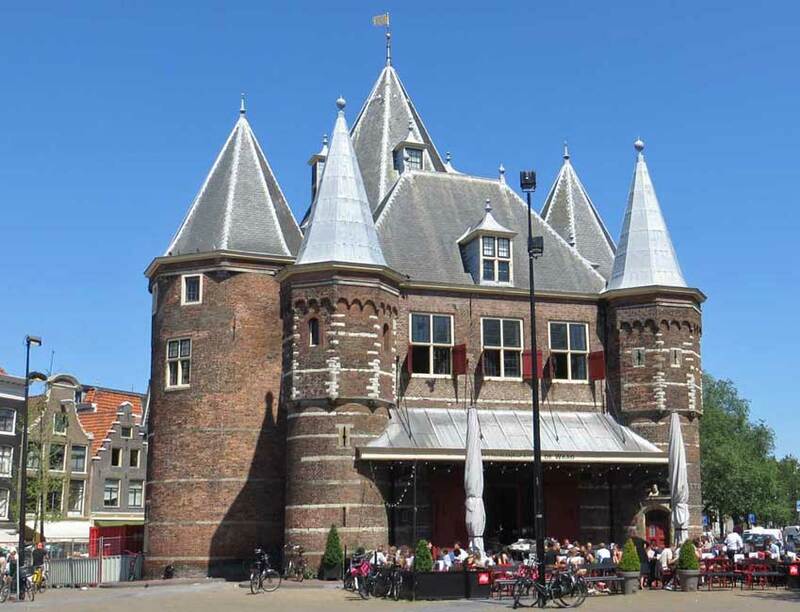 To the east of your route you can easily walk to the Red Light District, the Old Church (Oude Kerk) and the Waag City Gate. 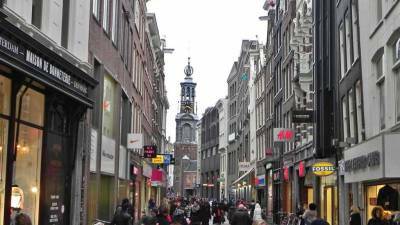 Prostitution is legal in Amsterdam in the Red Light District. Anne Frank House is one of the most population places to visit in Amsterdam. The house is where Anne Frank hid from the Nazis as a child and wrote her famous diary. Anne Frank House is right beside the Westerkerk church. Anne Frank mentions the bells of the Weterkerk in her diary. In the summer, you can expect to wait 2 hours in a line encircling the block before you gain access to Anne Frank House. Arriving early in the morning doesn’t help. Consider this destination for an off season winter visit. Anne Frank House is a reasonably easy walk from Amsterdam Centraal. Anyone can walk past the front of the house and you can also see the house from the boat on a canal cruise. The Museum Square in Amsterdam is open park area surrounded by museums. 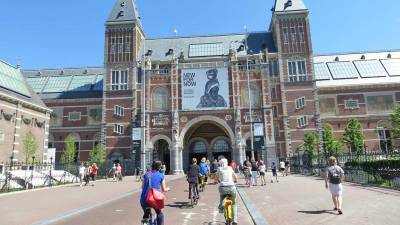 Visit the Rijksmuseum and see Rembrandt’s De Nachtwacht (the Night Watchman). Ride a bike on a path that tunnels right through the Rijksmuseum. Also located on the Museum Square are the Van Gogh Museum, the Concertgebouw (home of the Royal Concertgebouw Orchestra) and the Stedelijk Museum with the Hall of Horror. Behind the Rijksmuseum you will find the “I Amsterdam” sculptured letters that tourists love to photograph. A few minutes’ walk from the Amsterdam Museum Square will take you to Vondelpark. Vondelpark is the largest park in Amsterdam and a popular destination for locals and rented bike tours. See the bulbs and tulips at the Floating Flower Market, the Amsterdam Tulip Museum and the botanical gardens at Hortus Botanicus Amsterdam. Heineken Experience – popular brewery tour with time to sample the beer. Dutch Masters from the Hermitage Museum – a branch of the famous museum in St Petersburg. Visit a cannabis coffee shop. Museum of Bags and Purses – no we aren’t joking. It’s the largest of its kind. Stroopwafels – thin waffle sandwich has a warm syrup filling. Try Edam and Gouda cheese from the towns of the same name nearby. Cheese Tasting at Henri Willig. Take a day trip to Keukenhof Gardens in the spring when the tulips bloom. 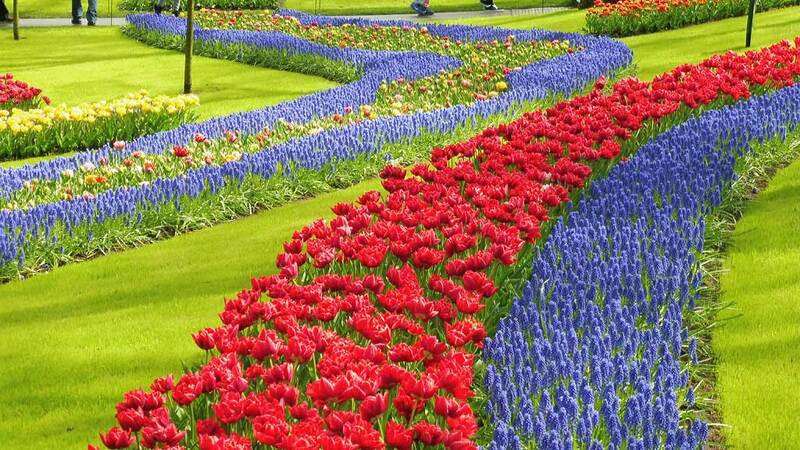 You can reach Keukenhof Gardens in less than an hour. Keukenhof Gardens is the premier garden stop in the Netherlands. People come from all over the world to see the tulips. 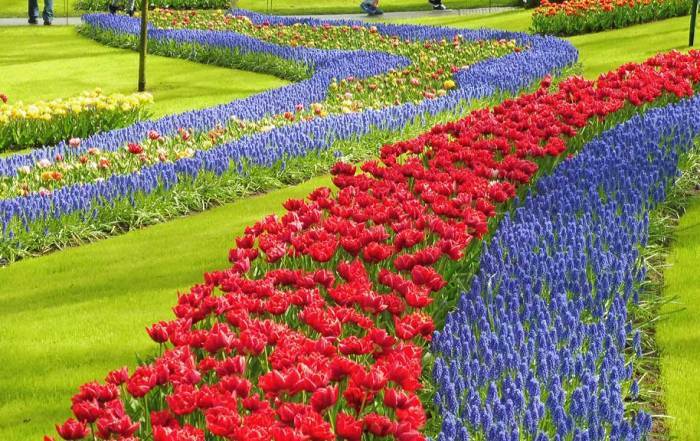 Keukenhof Gardens sells tickets online that include express bus transportation from Schiphol Airport and also tickets that add train fare from Amsterdam Centraal. The gardens are only open in the spring, when the tulips bloom. The last two weeks in April are a good time to take a Keukenhof Gardens Day Trip. Visit on an Amsterdam Layover. Royal FloraHolland Aalsmeer (Flower Auction) is the largest flower auction in the world. Royal FloraHolland Aalsmeer is 15 minutes by cab from Schiphol Airport. Don’t confuse this with Keukenhof Gardens. Arrive before 9 am so you can watch the height of activity as they sell and ship about 20 million flowers every day. You watch the flowers being sorted from a balcony walkway that gives you a birds eye view of everything going on. Day trip to the Hague – see famous blue and white Delft pottery and the Madurodam miniature city. Zaans Schaans Windmills – take a day trip to see the windmills. Take a day trip to Edam or Gouda to sample these famous cheeses the towns where they were created. 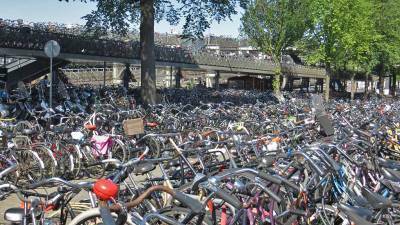 There are likely more bikes than people in Amsterdam. Without traffic signals at many intersections or helmets for safety, the locals gracefully weave and flow their bikes through complex traffic patterns. For a visitor, the experience with bikes is quite different – trying to avoid a multi-bike pile up at each intersection. Try a Small Group Bike Tour through the Old Town and Vondelpark or a Yellow Bike 24 hour rental. Amsterdam weather is heavily influenced by the North Sea. That makes Amsterdam weather cool in summer and near the freezing point in winter. Average highs from May through September are roughly 20 C (70 F), while lows average 15 C (60 F). Winter highs average about 5 C (40 F) with lows just above freezing. Rainfall is spread fairly evenly throughout the year, but is slightly lower in April and May. Visiting in early May provides excellent opportunities to catch the end of the tulip season, with an intermittent chance of good weather. Rail is an excellent way to get to Amsterdam. Take the train from the airport to the downtown Central Station (Amsterdam Centraal) in about 24 minutes. You can easily buy tickets at the station with a credit card. Rail staff speak fluent English if you need assistance. The ocean and river cruise terminals are downtown. 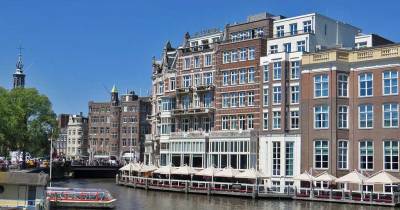 Amsterdam is the starting and end point for river cruises up and down the Rhine River. Shorter length cruises wander through the locks and canals of the Netherlands. 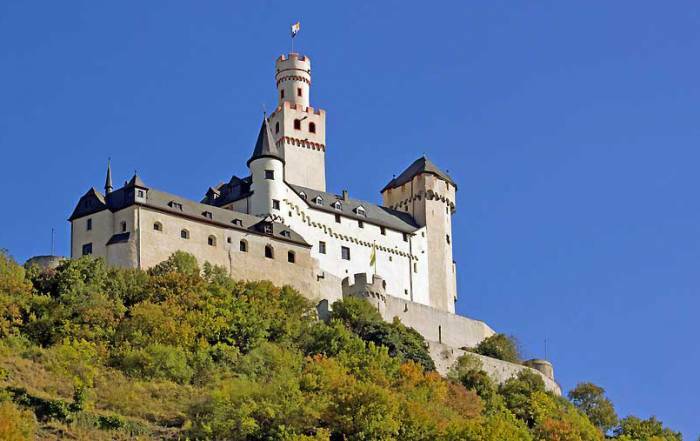 The most popular route is up the Rhine River along the castles of the Romantic Rhine to Mainz. 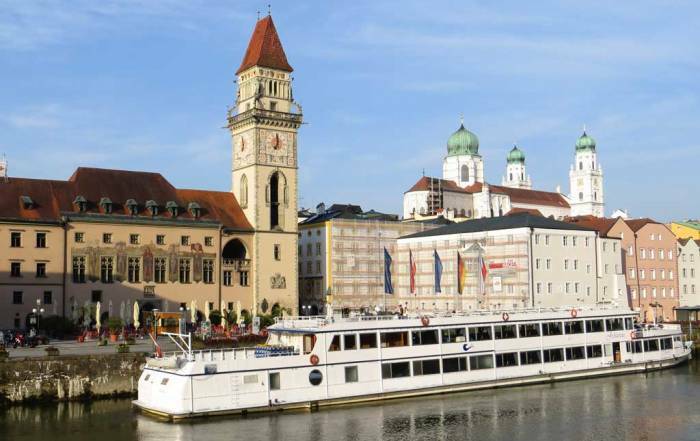 From there cruises can continue on the Rhine to Basel, Switzerland or cut across the Main Canal to the Danube River for Budapest. 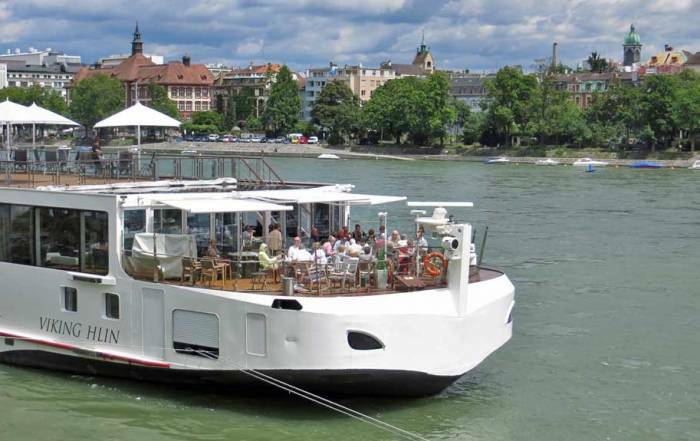 A river cruise from Amsterdam to Budapest typically takes two weeks. The tram system from Amsterdam Central Station is friendly and easy to use. Most of the major attractions are within walking distance of the station, but the #2 tram is a convenient way to reach the museum district, such as the Rijksmuseum and the Van Gogh Museum. 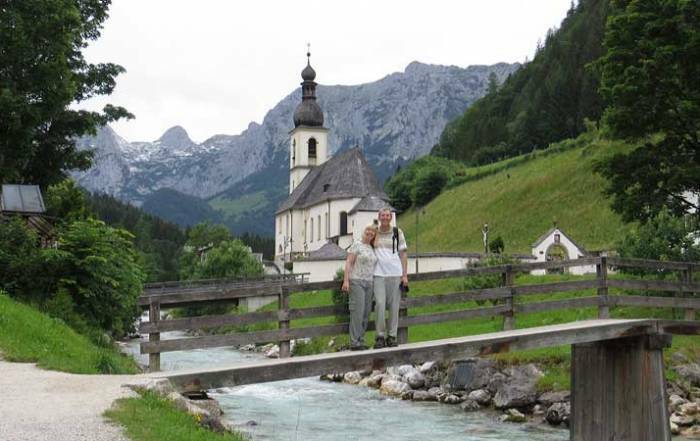 Renting a bike is a great option for sightseeing. Amsterdam loves their bikes. With vehicle lanes, tram lanes, pedestrian lanes and bike lanes, it’s sometimes challenging to cross the street safely. Schiphol Airport (pronounced “skiple”) is one of the central hubs for KLM and a major international airport for flights between Europe and North America. 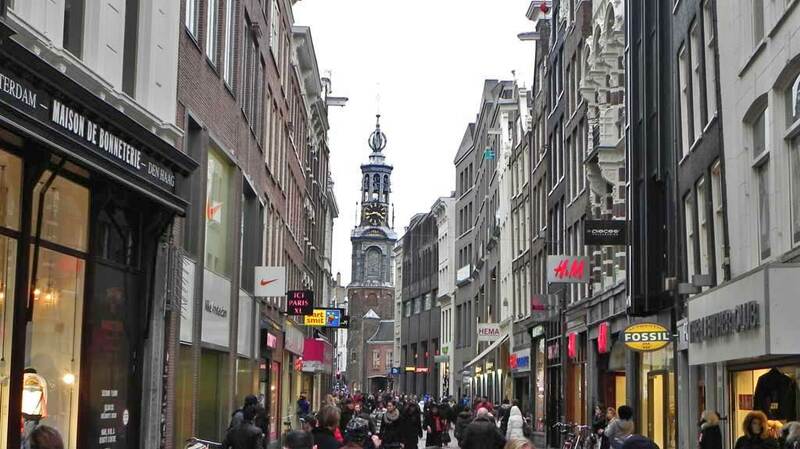 You can walk a few steps from the terminal to the CitizenM hotel or catch a train to Old Town Amsterdam Central Station. Amsterdam is the capital and largest city in the Netherlands. About 2 million people live here in the province of North Holland. English is taught in schools in the Netherlands, so you can expect be able to talk to everyone easily. Amsterdam is built on a system of dams of the Amstel River. The city was an important European port in the 1500s. Rhine River Cruises start and finish in Amsterdam, so the city continues to be an important port today. The canals were built in the 1600s and are now a UNESCO World Heritage Site. The Amsterdam canals dominate the landscape and contribute to the popularity of bicycle travel through Old Town Amsterdam.